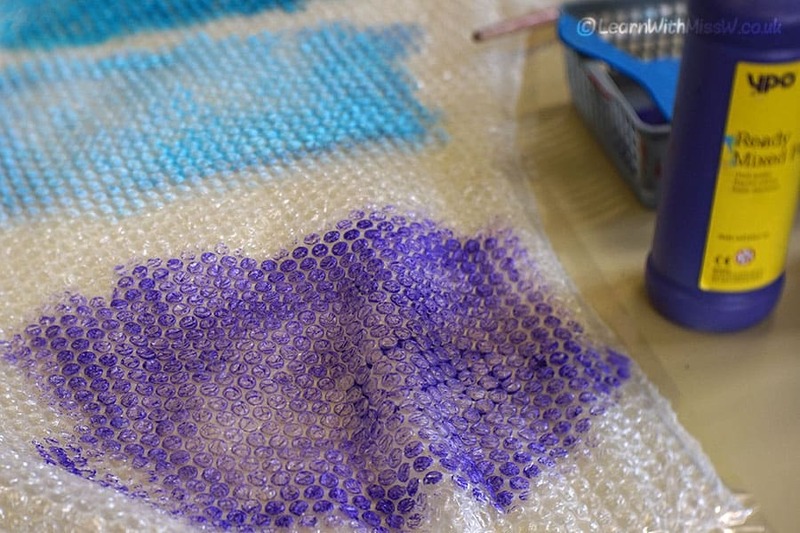 Paint and bubble wrap, what could go wrong? From past experience I know this is potentially quite a messy art activity. I really should bring myself in a painting apron! 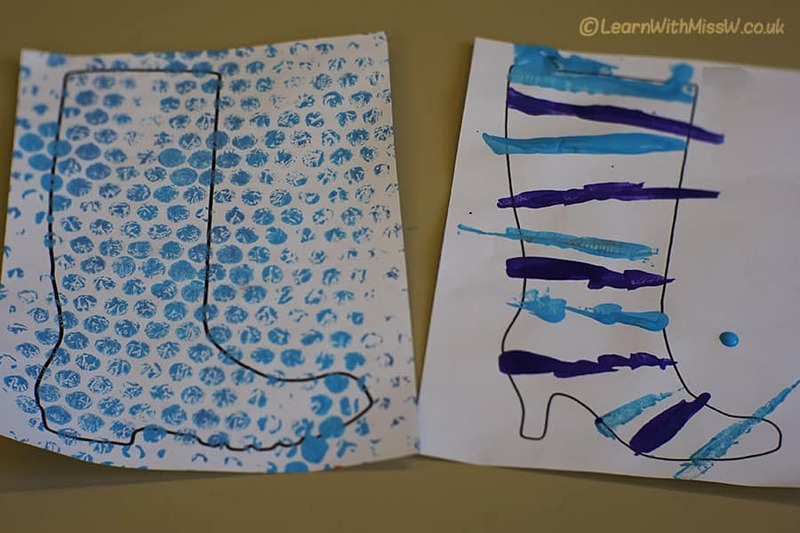 We were designing boots after reading the story ‘The Elves and the Shoemaker’. I love the paint on bubble wrap trick, I used it last year for our Rainbow Fish. You stick down the bubble wrap with tape (I love tape), put paint on the bubbles and then carefully press your picture onto it. Ta da! Last time I rollered the colour onto the bubble wrap, but that splashes a fine mist of paint EVERYWHERE. This time I just brushed more paint on. I think the boots turned out great! It’s quite exciting because the children can’t see what’s going on as they press the paper down on the paint, they have to wait until it’s peeled off to find out. Leave me a comment about what other art activities you can do with bubble wrap.